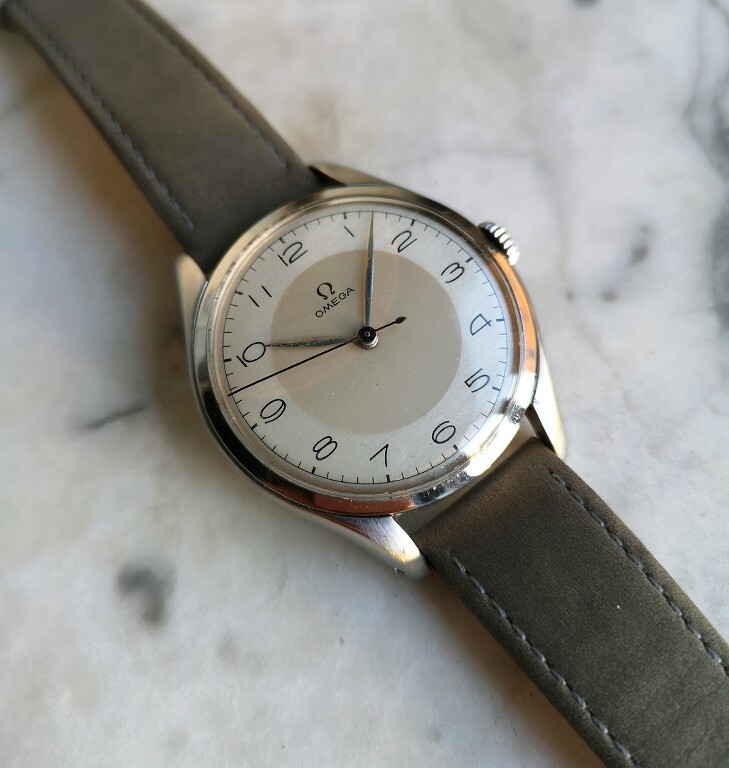 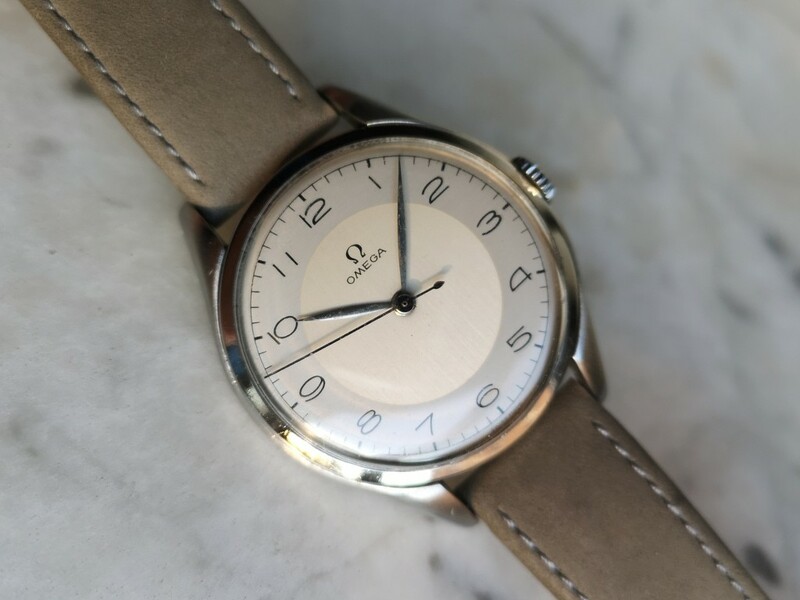 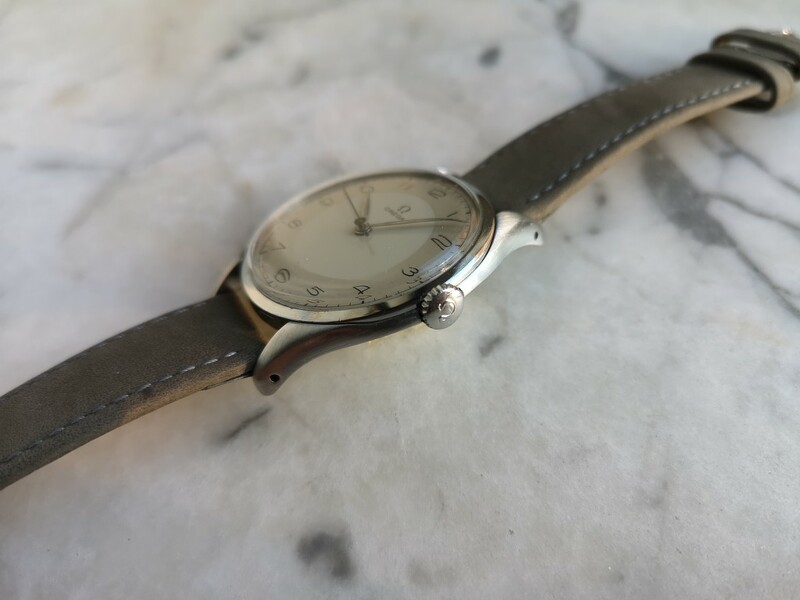 Up for sale a beautiful and Mint Vintage Omega time only from 1947. 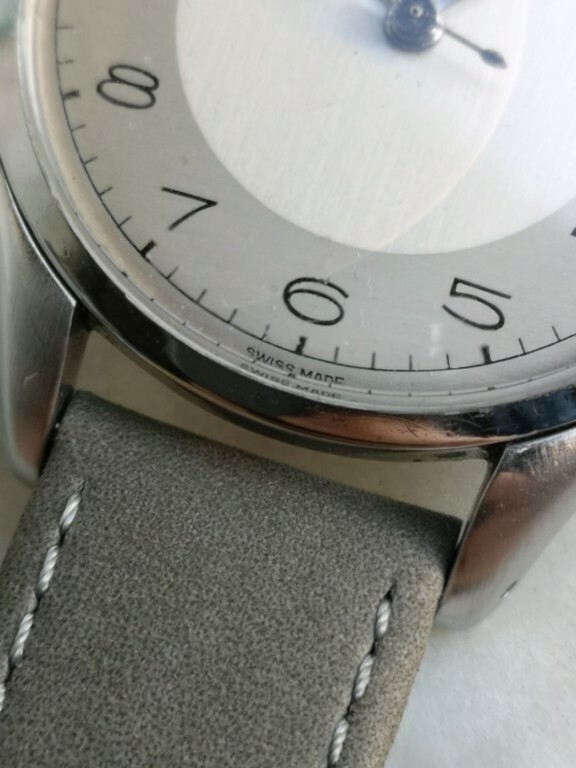 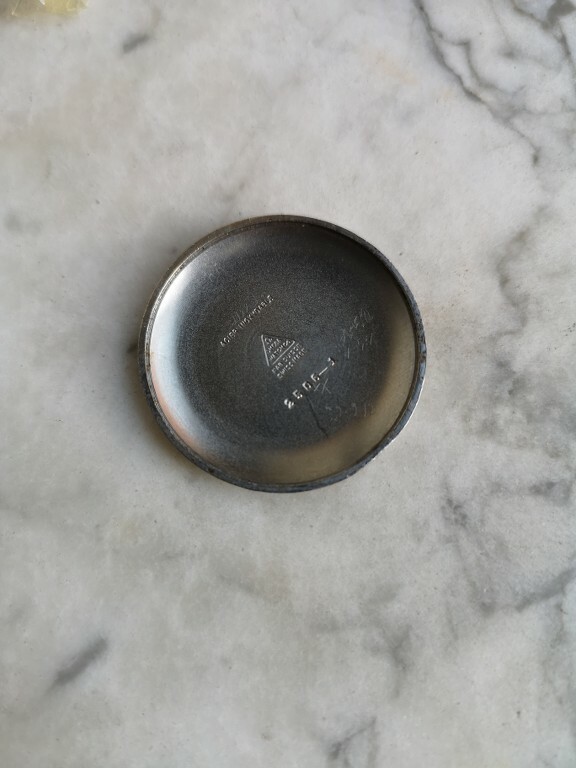 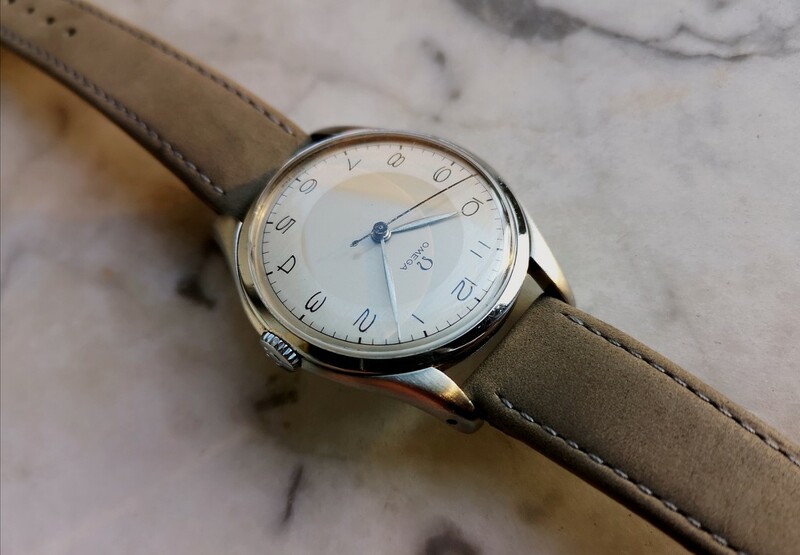 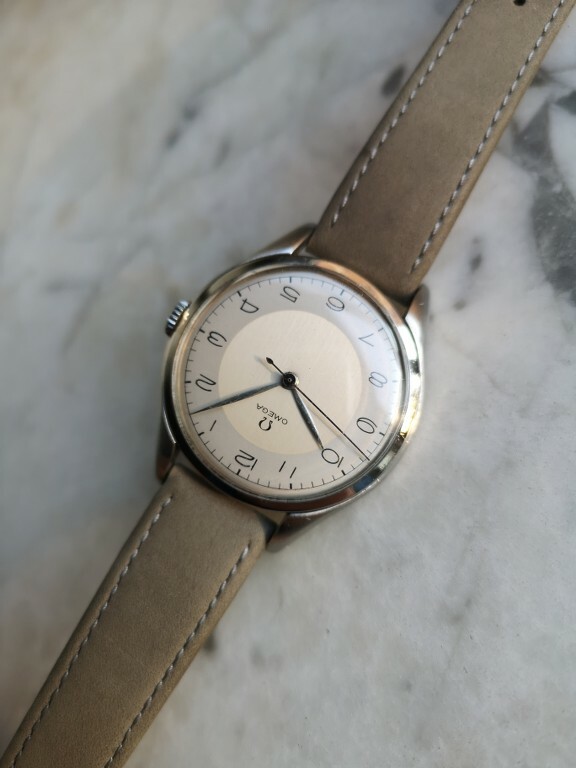 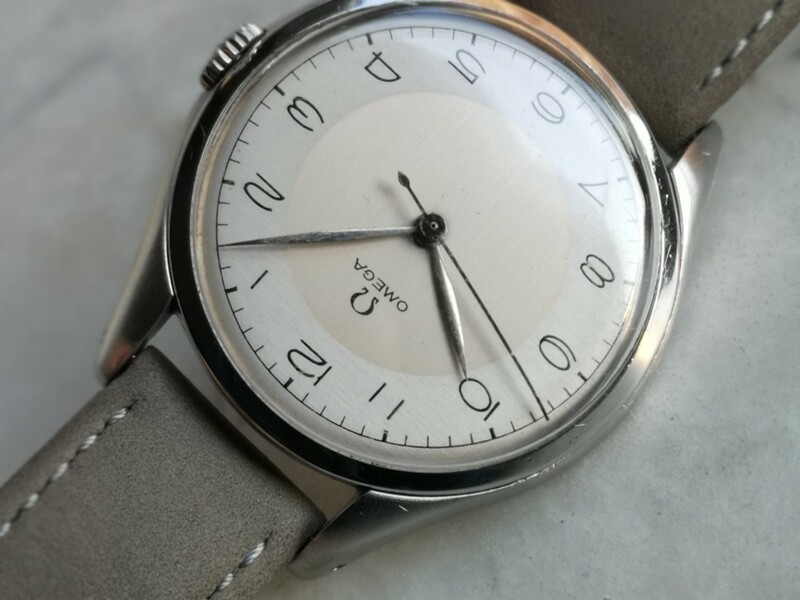 The watch has a Jumbo s.steel case that measure 38.5mm without crown. 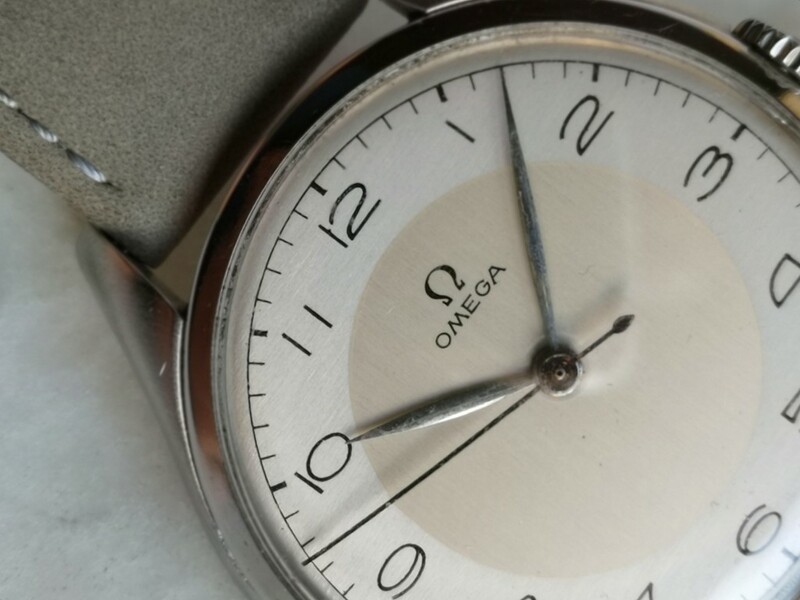 Center second 283 hand wind Omega caliber. 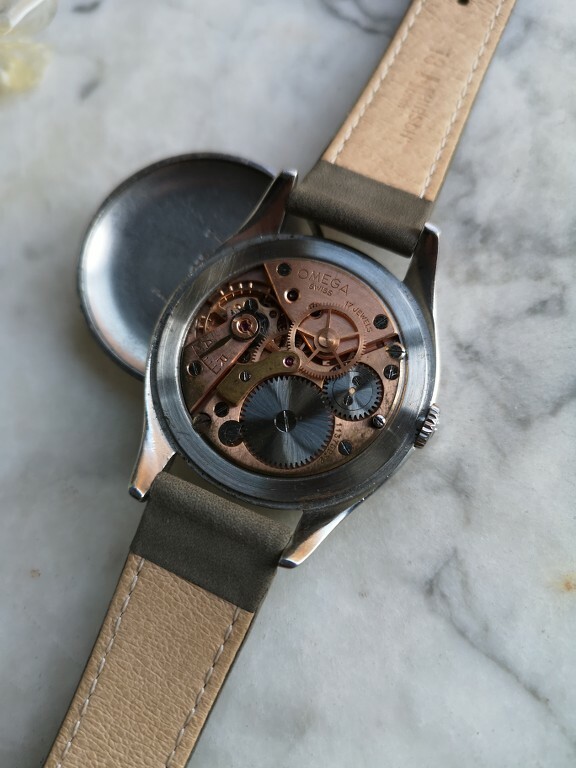 For this beautiful watch the price is 1450 euros.